Summary: A new study reveals head impact, not concussion, triggers CTE. The discovery could help with early detection and treatments for the neurodegenerative disorder. Researchers have identified evidence of early Chronic Traumatic Encephalopathy (CTE) brain pathology after head impact–even in the absence of signs of concussion. Early indicators of CTE pathology not only persisted long after injury but also spread through the brain, providing the best evidence to date that head impact, not concussion, causes CTE. 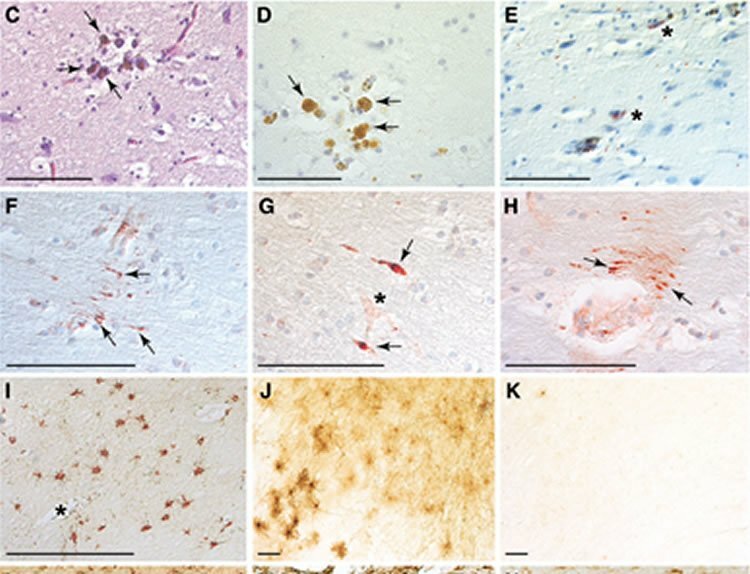 To investigate causal mechanisms underlying these changes, the researchers conducted laboratory experiments using mouse models of two different injury mechanisms–repeat closed-head impact and blast exposure–both linked to CTE. The investigators compared brain responses to the experimental injuries and relationship to CTE pathology over time. “Our experimental results showed no correlation between concussive signs at the time of injury and CTE brain pathology. These findings provide strong evidence–the best evidence we have so far–that subconcussive impacts are not only dangerous but also causally linked to CTE,” Goldstein said. “In order to reduce CTE risk in contact sport athletes and military veterans, there must be a reduction in the number of head impacts. The continued focus on concussion and symptomatic recovery does not address the fundamental danger these activities pose to human health,” said Ann McKee, MD, chief of Neuropathology at Boston VA Healthcare System, Director of BU’s CTE Center and a co-author on this study. Post-mortem pathologies in brains from teenage athletes in the acute-subacute period after mild closed-head impact injury. NeuroscienceNews.com image is credited to Goldstein et al./Brain. “To prevent the disease, you have to prevent head impact – it’s hits to the head that cause CTE,” Goldstein added. Funding: The research was funded by the U.S. National Institutes of Health, U.S. Department of Veterans Affairs, U.S. Department of Defense, U.S. Department of Energy, Boston University Alzheimer’s Disease and CTE Center, University of California, Berkeley, WWE, National Football League, National Operating Committee on Standards for Athletic Equipment, European Union, Israel Science Foundation, Canadian Institute of Health Research, Andlinger Foundation and Concussion Legacy Foundation. Image Source: NeuroscienceNews.com image is credited to credited to Goldstein et al./Brain. BMC “Hits, Not Concussion, Cause CTE.” NeuroscienceNews. NeuroscienceNews, 18 January 2018. BMC “Hits, Not Concussion, Cause CTE.” http://neurosciencenews.com/hits-cte-8335/ (accessed January 18, 2018). What about physical abuse? I’ve been punched & kicked in the head, also have had my head stomped on throughout my life. I believe it started at a young age(physically abused started w/father,relatives,siblings,intimate partners & my own son).Most of these incidents went untreated. I’m 45yrs.old & in the past 9-10 months I’ve had my head punched, choked, kicked& stomped on. I do believe I have suffered from CTE. It has impacted my life in a bad way, making me feel lost, confused, forgetful & I don’t have the comprehension I did 5 yrs ago. It’s been diagnosed as having “mental illness.” No MRI’s or CT scans of the brain by a neurologist. After a head injury, seek medical attention immediately.